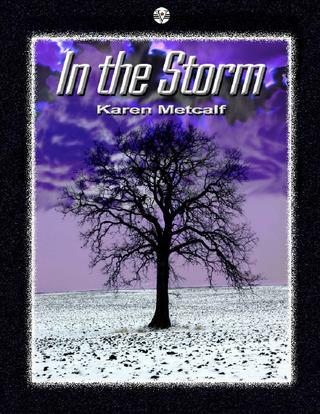 I want to welcome Karen Metcalf to Books R Us. 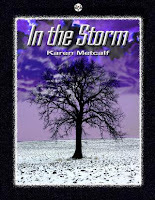 Karen is the author of In the Storm (Vagabondage Press LLC) Thanks for stopping by. I have been working with teens for the last few years, and though their interests are varied, they do share one thing in common. Most of them don’t like to read. Ironic, considering the YA genre is intended for them. Of my four brothers and sisters, two shared my passion for reading, and two did not. My younger brother Joey absolutely hates to read. The first book he ever finished was mine. Granted, I am his sister, so that was a huge factor. But… he did finish the book. (If you knew Joey, you would know how much of a compliment that is.) I think it was his first introduction to YA. His only other experience with YA is Twilight, which he has based solely on the movies. I think this view of YA is a common misconception. I’m talking to the boys out there, who think it is all about love and vampires, or the other most popular book-based movies. I have slowly been sneaking ideas in his head to try out other books; because I have a feeling he will really enjoy them. I don’t think anything else is like sinking into a really great book. I know that role-playing games have taken the place of reading in a lot of ways. I can even see how they are similar. But I feel that those games are hindering the imagination. It just isn’t the same when you are more worried about cheat codes and dying. I don’t know that they get lost in it, which to me, is an indescribable experience. Those of us reading this blog obviously get it. But maybe we should spread the word a little harder. Even if you don’t suggest my book, suggest something. After all, they are the ones the genre is written for. Your post really hits home. Recently during a hop, many of the bloggers I encountered mentioned that their mothers were avid readers and encouraged them to read. It was passed down from a parent! I believe that to be pretty good proof of what you're saying and also what I was thinking: encourage children to read. Keep encouraging them and they'll learn to love it, how could they not? Sometimes it's easier to just give in and let them sit in front of the TV, PC or Video game console(s). Find a way for each individual child to pique their interest in reading! Sorry for the rant but it saddens me so much that the true gift of reading is becoming less and less discovered. When I was a child I read as much as I could and I haven't stopped since. Reading is the most wonderful gift! To be able to step into another world created by someone elses creativity and lose yourself there is pure pleasure and it's something I wish I could bestow on everyone. So, the moral of this incredibly long post is: Start our children young with reading! Keep it up! Read with them, discuss what you read and as they get older it just gets better. Great post! A topic that is near and dear to my heart. My gifts to my children, neices, nephews, Goddaughters and Godsons, Friends children, etc have almost always included books of some sort. Now, I'm really done, LOL! Again, a wonderfully insightful post and coincidentally, something that's been on my mind lately. Thank you for your response! My sister and I read soo much as kids, and it is the first thing me and my best friend shared in common. It was mandatory that the guy I date have some understanding of my passion for reading, because sometimes a book might be more important than him, lol. I read more books than most people I know, and I still don't read enough. It is a huge part of who I am, and now as an author, what I do. I guess sometimes it is just as hard for me to understand someone disliking reading, as it is for them to understand my passion for it. It really is one of those things that you shouldn't "knock it til you try it". I just can't justify not reading at least a few books a year. Anything less is a waste.